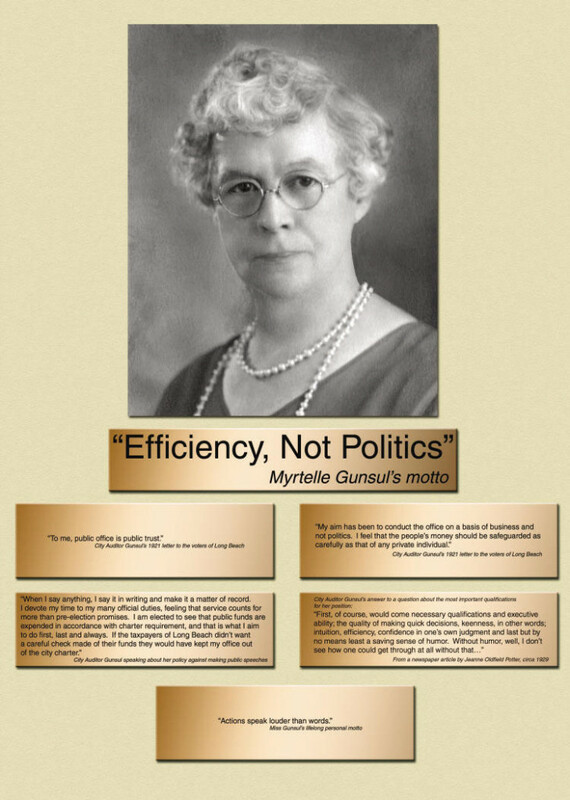 Myrtelle L. Gunsul was elected City Auditor eleven times, and she won all her races in the primary. 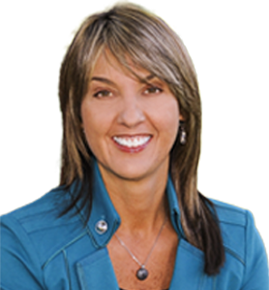 She received more votes than any candidate for any office on the ballot. 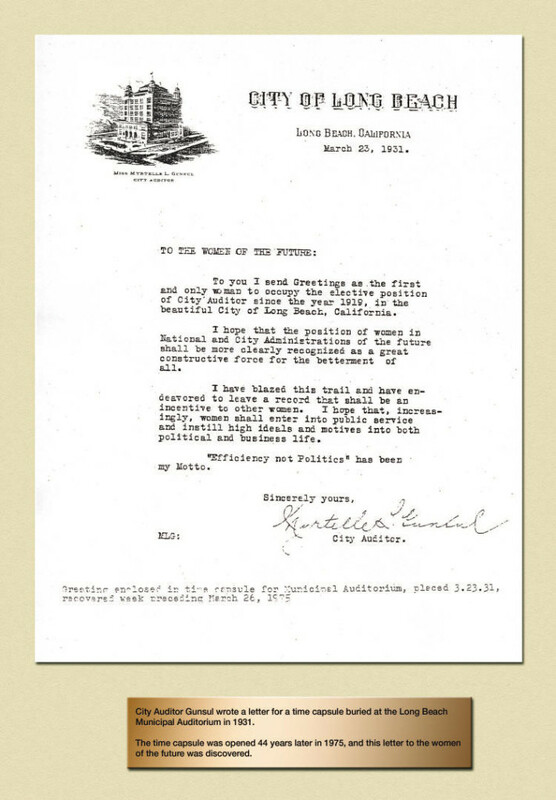 Miss Gunsul (as she was called at the time) was elected in 1919 and retired in 1951 after 32 years of being City Auditor. 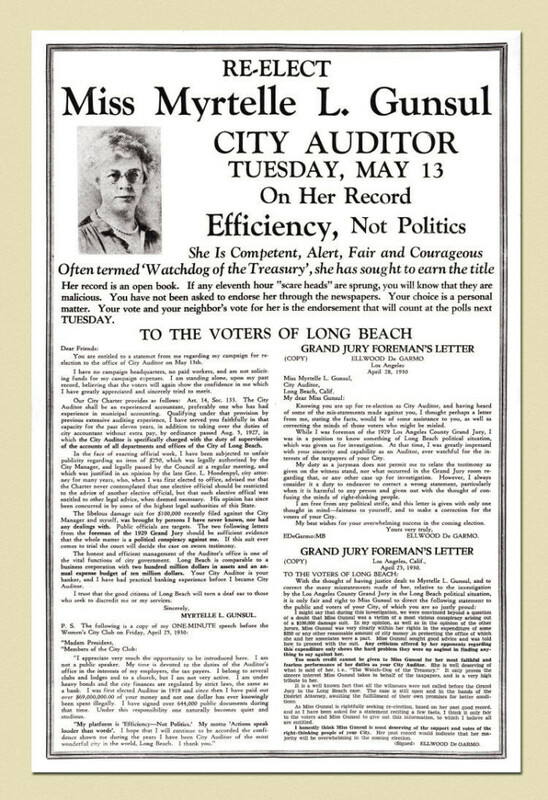 Her service to Long Beach was actually longer, because she was Deputy City Auditor for 4 years before being elected City Auditor. 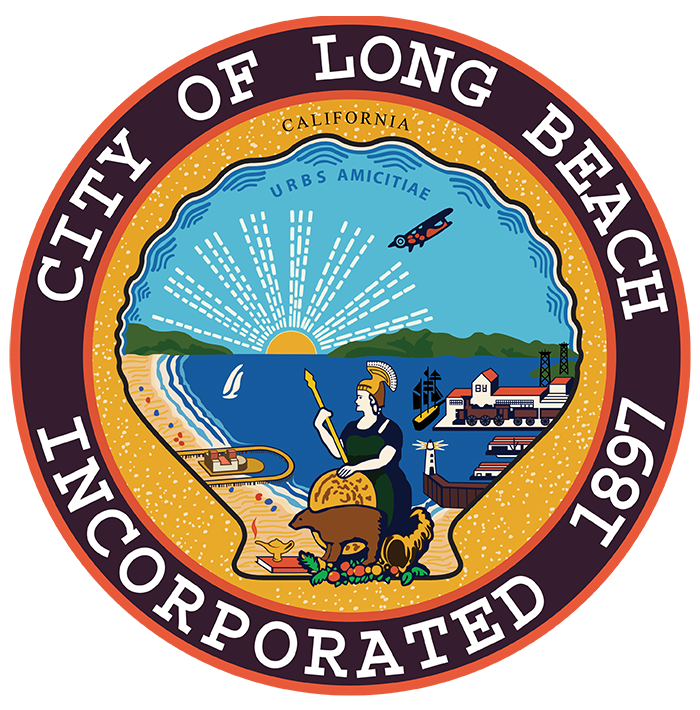 Cal State Long Beach and Long Beach City College were founded. 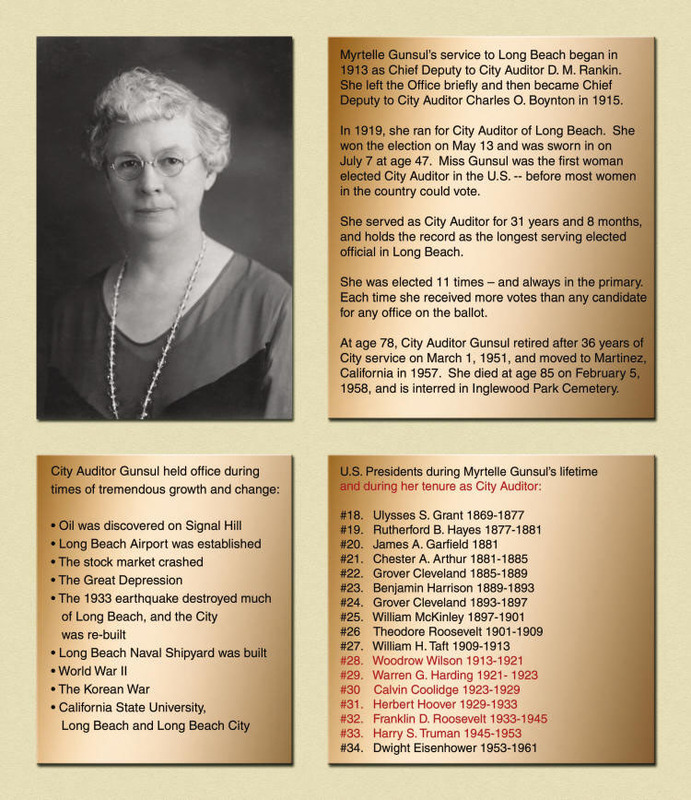 The Long Beach City Auditor’s Office conference room is dedicated to Myrtelle L. Gunsul. The Conference Room contains an extensive exhibit of her life and career. Visitors are welcome to view the exhibit. 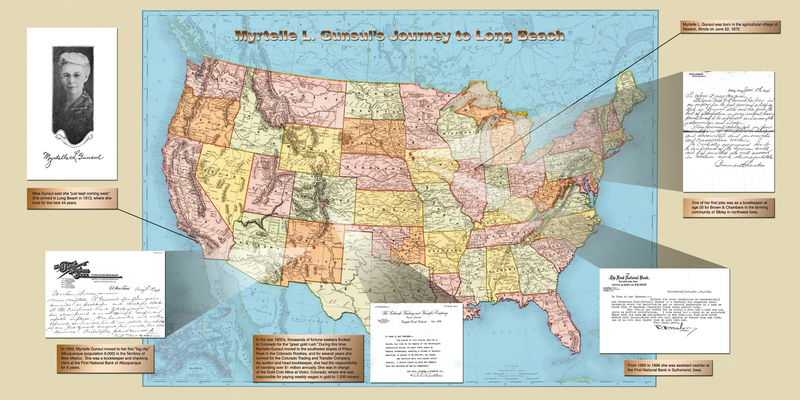 Please contact us to schedule an appointment to view the Myrtelle L. Gunsul Conference Room.